This past Friday an exciting event took place at my high school due to the efforts of Colleen Tambuscio, who is a fantastic Holocaust teacher. The U.S. Department of Education visited with a group of Polish educators to learn more about how our school teaches the Holocaust and genocide. The nine educators who visited New Milford were part of the International Leadership Program of the U.S. Department of Education. They spent 10 days in the United States traveling between New York and Washington, DC specifically for the teachers to learn more about the American approach to teaching the Holocaust and genocide. The morning began with Collen providing an overview of our school's comprehensive Holocaust education program; highlighting the course curriculum, the study seminar to the U.S. Holocaust Memorial Museum and the overseas trip to Germany, Czech Republic, and Poland. Three NMHS students each spoke about an experience from the trip that left an impression upon them which they aligned with a video clip from trip documentaries. These educators had many questions for us regarding our approach that led us into great discussions about content and pedagogy. We soon discovered that our approaches are not worlds apart and that we share many common themes in our teaching of the subjects. These educators offered to partner with NMHS during future trips to create student exchanges when we visit Poland. Jenny Eisenberg, from the Bureau of Education and Cultural Affairs arranged for the teachers to visit our school. She was very impressed with our students and offered to encourage our students to apply for student leadership and exchange programs sponsored by the U.S. Department of Education. Cindy Hsu, a CBS Correspondent, interviewed the students and teachers during this visit. The news video aired on the evening of Friday March, 25 2010 and a corresponding article was published as well. So where does the building connections come into play? On Colleen's end she is an exemplary educator who has created one of the best high school Holocaust education programs in the country. Through her many years of work experiences she has gained the trust and respect of experts in the field of Holocaust education from all over the world. She works tirelessly to to fund the trip through private donations. During this process she comes across influential people who are also passionate about helping students learn from this dark event in history. This passion then translates into opportunities for our school and students like the ones listed above. As Principal, it is my job to share with the community the great things occurring within the walls of my building. Social media outlets like Twitter have enabled me to reach not only my community, but stakeholders in education around the country, state, and world. One particular connection I built through Twitter was the one with CBS News, NYC. They heard about how we were utilizing this social networking tool and ran a story entitled "Students at a NJ School Learn to Tweet". This led to a connection being formed with a major media outlet. The end result, since November the students and staff of NMHS have been featured on CBS News NYC three times, as well as many other media outlets. I challenge all teachers and administrators to build connections in order to provide meaningful learning opportunities to your students and share the incredible accomplishments occurring in all of your schools. If you are not utilizing social media and networking tools to accomplish this goal then you are really missing out! Through my recent experience at the Google Teacher Academy for Administrators I learned about the form feature in Google Docs. Up until this point I had only used the word processor and presentation functions in Docs. I'd be lying if I didn't state that I was so fascinated by forms. Immediately I saw administrative value in terms of collecting data and organizing it in a spreadsheet. The best part is that you don't even have to create the spreadsheet! It is done for you as the form is created. Last week I created my first forms to collect summary and evaluation information on staff professional development and webinars. 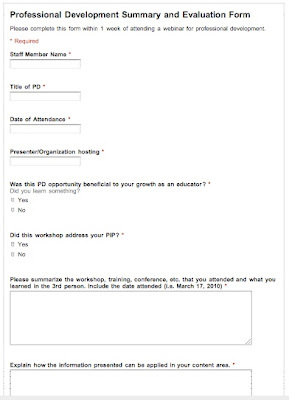 After creating the form I inserted the live link into the daily email announcement that I send out to my staff each morning along with instructions that this had to be filled out within one week of attending any workshop, conference, meeting, or training. Talk about making my job so much easier and efficient! Prior to forms I would stalk my staff via email to collect this information so that I could include it in my monthly Principal's Report. Now it is done in a seamless fashion automatically. It was so exciting to view the professional development spreadsheet this morning and see detailed information already submitted by seven teachers using the form. This data will now allow me to analyze more efficiently preferred professional development topics, effective/ineffective presenters, whether or not a teacher's PIP (professional improvement plan) is being met, and information to assist me in planning future in-house training sessions. In the near future I plan on creating forms for administrative walkthroughs, student discipline referrals, and the summary and evaluation of field trips. Please share with me any ideas you have on ways in which Google forms can be used. 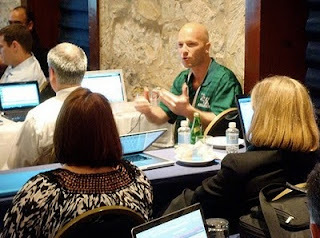 Let me just come out and say it, I need more administrators (Principals and Superintendents) to blog. I would be willing to guess that I am not the only educator that feels this way. Below is a hypothetical letter that explains my rationale. Good morning! You are probably wondering why you are receiving this letter out of the blue. Let me quickly explain. I am a 35-year-old high school principal who has many years of educational administration ahead of him. Recently I began blogging on my experiences as a Principal at New Milford High School with the hopes that my ideas and success stories could help other administrators in some fashion. 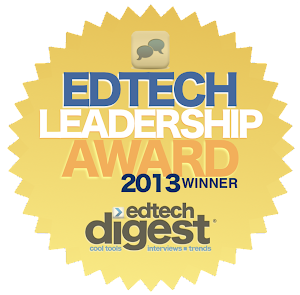 A blog can also be used as a fantastic public relations tool in your school/district. If you were like me a year ago you are probably cringing at the thought of blogging. Thoughts like "I don't have time to do this, I'm not a writer, or I haven't the faintest clue about starting a blog" are probably resonating through your head as we speak. These were the same thoughts I had, but rest assured I am here to help you get started! Even though I feel that I am relatively good at what I do I will be the first one to admit that I have so much to learn about effective leadership practices and changing the culture of a school to improve student engagement and achievement. This is where you come in. As an experienced administrator you own a wealth of knowledge. You have implemented ideas successfully and have probably encountered some failure along the way. The insight you possess is priceless to administrators like myself. I have seen firsthand how the field of education has shifted from a possessive to sharing culture. My professional growth and development greatly depends on your wisdom, network of resources, and feedback. You have an opportunity to help countless administrators across the globe and leave a lasting impact on the profession. The letter above contains a simple, yet powerful message. Sharing knowledge and ideas is pivotal to the growth and development of practicing administrators. It is our experiences that we encounter on the job, not text written in a book or information disseminated in a lecture, that have the most profound impact on changing the learning environment of schools. I leave you with this question. 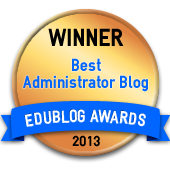 Do you feel more administrators should blog and why? Please share your thoughts because I am sure that I missed many compelling reasons for administrators to blog. This morning I had a breakfast for all members of student government. Over the course of the year I like to have at least three meetings like this to hear their ideas on the culture of New Milford High School and ways to improve it. My main objective is to empower them to be catalysts of change and leave a lasting impact on the school. In the past, the meetings consisted of the students eating and socializing, followed by a discussion of events that they would like to see happen, most of which were spirit-oriented. Although the meetings have been productive in establishing activities such as a spirit week and annual Powder Puff football game, I yearned for something more meaningful. I wanted the students to think outside of the box and develop their own ideas on how NMHS could better prepare them as 21st Century learners. I decided to take a different approach this time around. After addressing questions such as why were there no straws for the orange juice or butter for the bagels, I began to discuss all of the innovative programs and activities that had either been successfully implemented or in the process. I spoke about our participation in the Dash Plus contest, re-writing the computer applications curriculum so that it was more web 2.0 based with every student using Google Docs, collaborating with students in Van Meter (Iowa) scheduled for 3/11/10, becoming a member of the Virtual High School, Project Prom Dress, and establishing a partnership with a school in Israel. Additionally, I shared my personal experience at the Google Teacher Academy for Administrators and the fact that I started blogging. I then challenged the students to open up and share any idea that came to mind, no matter how far-fetched it seemed. - A spring spirit week to engage the students at the end of the year with a school-wide field day as the culminating event. - Organization of a volleyball tournament to raise money for the senior class. - Daily announcements sent out via Twitter. Students explained that they would need to be able to use their phones in school before homeroom. I explained that a Google Doc could be created with a link sent out each morning using the official school Twitter account (@NewMilfordHS). I then used this opportunity to challenge the students to think about ways in which cell phones could be effectively utilized in the classroom and report back at our next meeting. - Student access to the school's wireless network. Student's asked if they could bring in their own laptops and get access. They clearly articulated valid reasons of how this would improve their educational experience. - Creation of a New Milford High School FaceBook page in order to advertise school events and accomplishments. The students explained that each club/sport/activity could have their own separate group page for announcements. The facilitator of the page (probably me) would receive updates from the students to be included. Many students discussed this as the best option to notify alumni of events and all of the great things occurring at NMHS. Change to improve the culture of a school must be a collaborative effort in which student input is crucial. There is nothing more inspirational as a Principal to see first hand students actively engaged in the process and knowing that they can in fact make a difference. As educators we must always remember that it is our responsibility to provide the best educational experience possible for our students. These experiences can be educational, social, or a combination of both. I take comfort each and every day knowing that I have the chance to have a lasting, positive impact on my students by listening and acting upon their ideas. Multiple opportunities presented themselves this morning and I plan to try to take advantage of as many as I can. The "winds of change" are blowing through the halls of NMHS and I couldn't be more excited! As I mentioned before, the day was INTENSE, which was right in my wheelhouse as a concrete sequential learner. Each session moved seamlessly from one to the next within an eleven-hour time span. During the session, I readily observed one of the most important attributes of an effective administrator – MULTITASKING. This was visible in the form of simultaneously listening, taking notes while utilizing Google Docs, engaging in a Twitter backchannel, and of course, the sharing of ideas on how we as administrators could effectively and efficiently use the array of Google tools. The fact that backchanneling was encouraged was cool in itself! Anyone reading the tweets from #GTAdmin could feel the excitement, I am sure. I found it particularly challenging at times to tweet what I felt was compelling information, due to the fear that I would miss something during the process. That’s how good the Google Academy was; “Riveting,” is the word that immediately comes to my mind. My notes give a pretty good snapshot of our action-packed day. However, another important take-away here was the presenters, or lead learners as Dr. Mark Wagner referred to them as. Each lead learner facilitated passionate discussions on virtually every Google app that could be used in education. 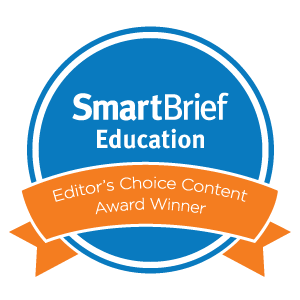 They were extremely prepared, modeled effective practices, and applied the tools in a way that we as administrators could use them. This Academy really was catered to and designed for administrators. Each presenter’s dedication to ensuring that we fully understood how to implement the various Google tools was greatly appreciated by all. At the conclusion of the day I was still craving more. How many of us could honestly say that after a 3 hour professional development training, let alone 11 hours? In a nutshell the blueprint developed for #GTAdmin was fantastic. Learning did not stop for one minute at the academy. In my opening paragraph I made mention to the educational leaders that I was fortunate enough to spend the day with. Whether it was at dinner, the night before, during breaks, at meals, or late into the night after the academy, conversations on what we had learned and how we were going to utilize this, “Lightning in a bottle,” that was graciously handed to us never ceased. Talk about bang for my buck! The additional knowledge and insight that I acquired from my esteemed peers was priceless in itself. Many of our conversations focused on which specific Google Apps we were going to implement first and how. Administrators committed to change through innovation, collaboration, sustainability, and transparency were definitely underlying themes and catalysts for the intriguing discussions that took place. I could go on and on about this experience, but I am just too exhausted and should probably get a nap in before I land. 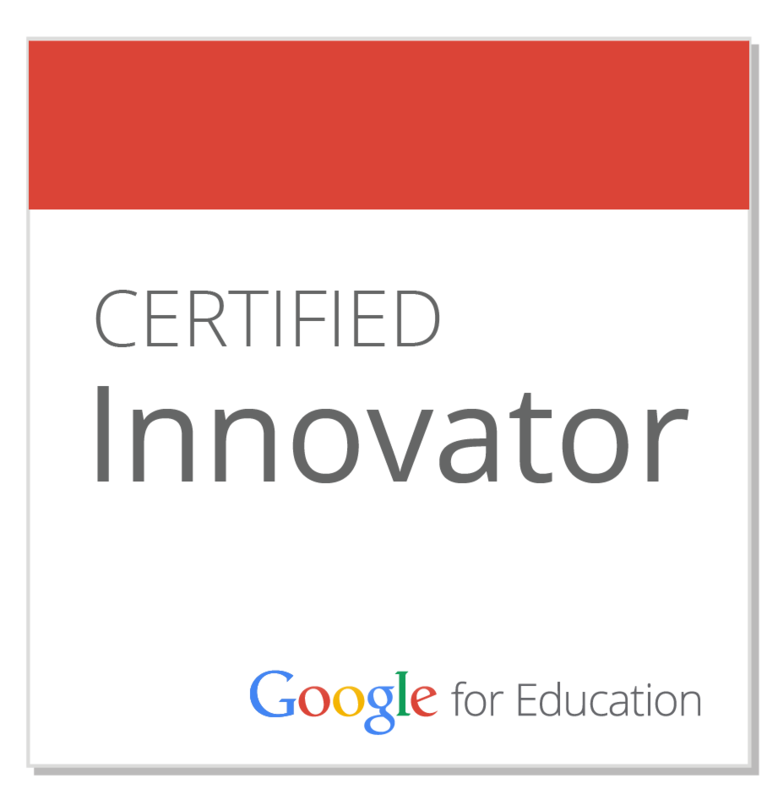 My goal now is to return to my school and empower my staff to engage all learners, collaborate with each other, and take a more active role in the educational process using Google Apps for Education. This experience, combined with my Personal Learning Network (PLN) serve as driving forces to provide the very best learning opportunities for the students and staff of New Milford High School. Who knows, maybe now I will start an official blog using Google Blogger? Wait, I just did. I can’t wait to unleash this lightning in a bottle!